Coloring isn't just for kids anymore. These coloring pages are so detailed that it can take you hours to complete just one page. And the best thing? Once you download these fun coloring pages onto your computer, you can print them as many times as you want! This means you don't have to worry about coloring them in "perfectly" on your first try. It also means you can experiment with different media and different color schemes! The coloring pages are available as e-books only, which means you print the pages on your own printer. After purchase, you will receive an email with a download link so you can access these pages ASAP and get coloring right away! Since these are e-books, you won't receive any hard copies in the mail. For more info about printable coloring pages, click here. 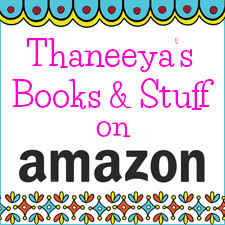 If you're interested in a hard-copy book, check out Thaneeya's Published Coloring Books. 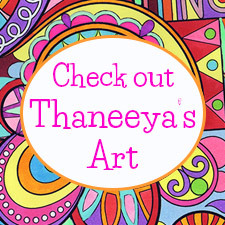 These printable coloring books are filled with the hand-drawn art of Thaneeya McArdle (that's me!). I create these drawings from scratch using good old-fashioned pencil and paper. Then I carefully draw over the pencil lines with black ink and scan the drawing into the computer. One by one, the drawings add up to form a totally cool coloring book that you can download and enjoy! What are Printable Coloring Pages, exactly? "Printable coloring pages" are a collection of line drawings that are delivered to you digitally as a PDF file. They're similar to the regular "pre-printed" coloring pages that you can buy in shops - but they're better! You can print these coloring pages as many times as you want - for the rest of your life! This opens the door to all kinds of possibilities and experiments - from changing the colors you use to playing around with different media! You control the quality of the paper. When you use store-bought coloring books, you're stuck coloring on whatever type of paper they give you, which is usually acidic paper that will turn yellow over time. These coloring pages are much more sophisticated, complex and quirky than what you'd find in stores. If you haven't colored since you were a kid, maybe it's time to treat yourself! When you color, you're giving yourself permission to sit back and let your mind drift while you focus your attention on colors and shapes, feeling the movement of your hand across the paper, as you watch the line drawing come alive. It's the perfect de-stresser, after a hectic day – or even right in the middle of a busy schedule! If you take time out and spend just 5-10 minutes coloring, even those few minutes can be enough to center yourself and get re-energized. These coloring pages are very portable. All you need is a single printed page and a handful of colors and you're good to go! Coloring is therapeutic. It helps calm your mind so you can relax. Coloring can put you in the "flow". When you concentrate on coloring, you are in the moment, which is energizing and revitalizing. Coloring is a creative warm-up. 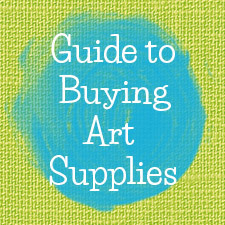 It helps you tap into your artistic self and spark your imagination. When you color, you make your mark! Artistic expression can lead to a healthy sense of self. It is my aim with these printable coloring pages to provide you with a fun starting point for self-expression. When you color my line drawings, it's like a groovy collaboration between you and me, resulting in a super cool and totally unique piece of art!